It was a quiet affair 40 years ago when Danish-born Birgitte van Deurs married the prince she met while at school in Cambridge, Prince Richard, the younger son of the Duke and Duchess of Gloucester and the queen’s cousin. By the couple’s own design, they had a simple country wedding, and the bride had the dress to match. 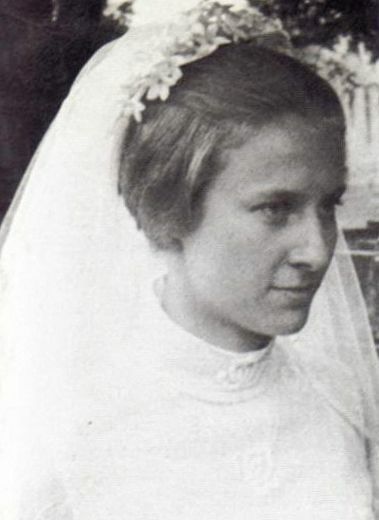 The dress was another turn in style for Norman Hartnell, who by this time had handled everything from the 1930s elegance of the bride’s mother-in-law’s wedding gown, to the embellished creations of Queen Elizabeth’s wedding gown and coronation gown, to the chic simplicity of Princess Margaret’s wedding dress. For Birgitte, Hartnell created a very 1970s dress with the high collar, simple skirt and small train, and long sleeves all done in white Swiss organdie with a floral embossing. The veil too was simple, in white tulle with white organdie piping at the edges. It was secured with a grouping of stephanotis flowers rather than a tiara, and the bride carried a bouquet assembled by her mother-in-law. 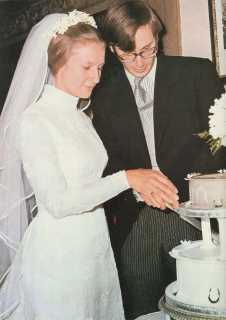 Though it lacks many of the statements and flourish we’ve come to expect from a “royal” wedding gown, Birgitte’s dress was geared towards the occasion, which didn’t have the trappings we’ve come to expect from a “royal” wedding either. There were no bridesmaids or pages. It wasn’t held in a grand cathedral, but in the village church a walk away from the Gloucester family home of Barnwell Manor in Northamptonshire. It wasn’t televised; in fact, the media wasn’t even allowed inside to witness the private ceremony. 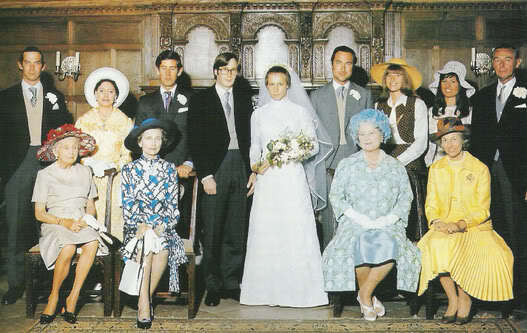 Though the Queen Mother, the Prince of Wales, and Princess Margaret were in attendance, the queen was absent. All of this was perfectly in line with the life that the young couple had planned. 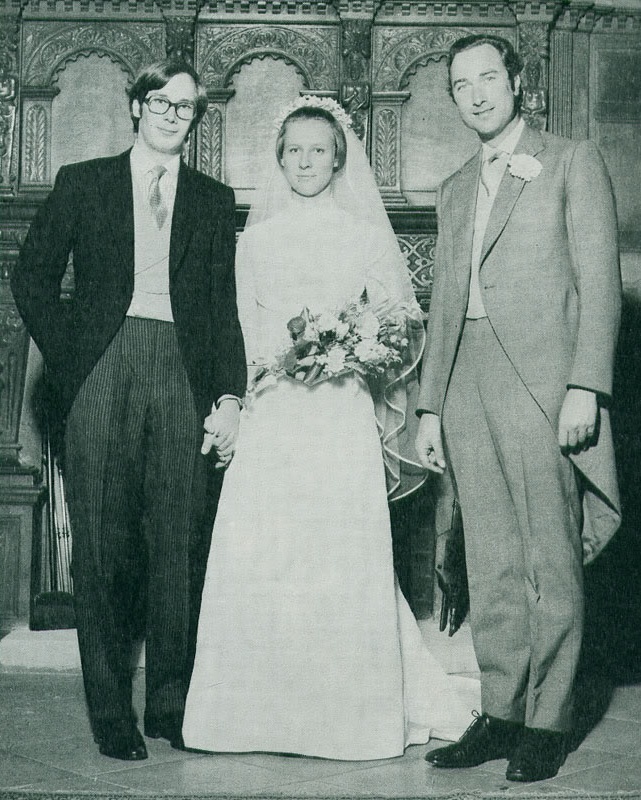 Prince Richard was pursuing a career in architecture; his older brother, Prince William, was in line to take over the responsibilities and royal role that accompanied their father’s title. But history, of course, had a different plan for Richard and Birgitte. 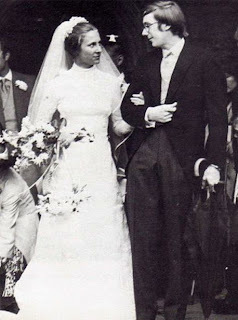 Six weeks after the wedding, Prince William died in an airplane crash. 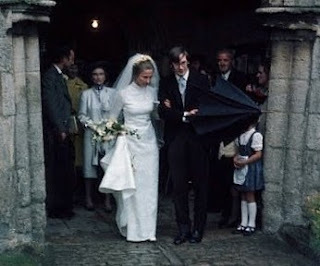 Two years after that, the Duke of Gloucester died after a long illness (he had only been well enough to attend the reception at Richard’s wedding), and this bridal couple became the new Duke and Duchess of Gloucester. They dutifully abandoned their other life plans and have quietly supported the queen ever since. In recognition of their work for the royal family, Birgitte has been given Queen Elizabeth’s royal family order and is a Dame Grand Cross of the Royal Victorian Order; Richard was made a Knight of the Order of the Garter in 1997, and of course they have other honors too. 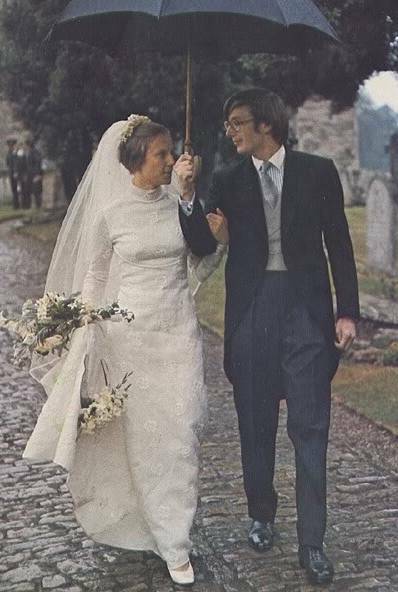 After forty years of marriage, the couple have three children (Alexander, Earl of Ulster; Lady Davina Lewis; Lady Rose Gilman) and five grandchildren.